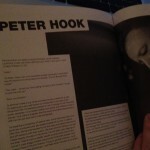 Fused magazine, which (as well as sister publication Area) I’ve done stuff for in the past, has just released a very special edition. 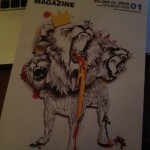 It’s thick, beautiful and perfect bound and it’s the first volume of what they’re calling the second volume of the mag. It’s got some fantastic photography and illustrations and rather wonderfully for me three of the best interviews I’ve ever done. 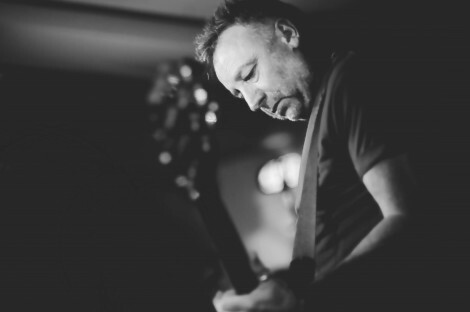 Read what happened when I talked to bass-god Peter Hook, Barney out of noisecore legends Napalm Death and David Shrigley who’s one of may favourite artists. 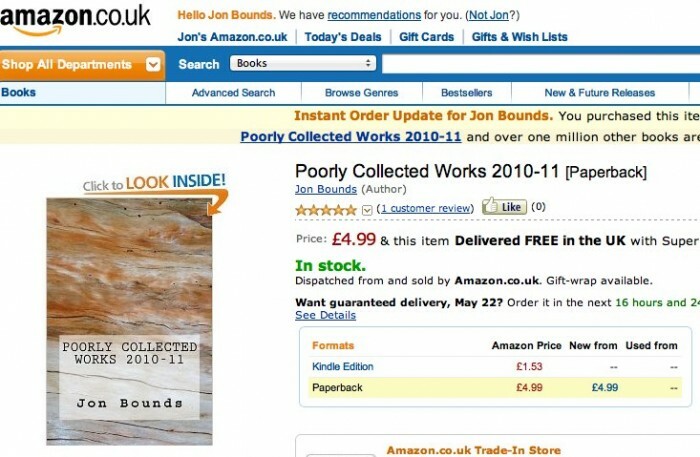 Buy it for a fiver, here. 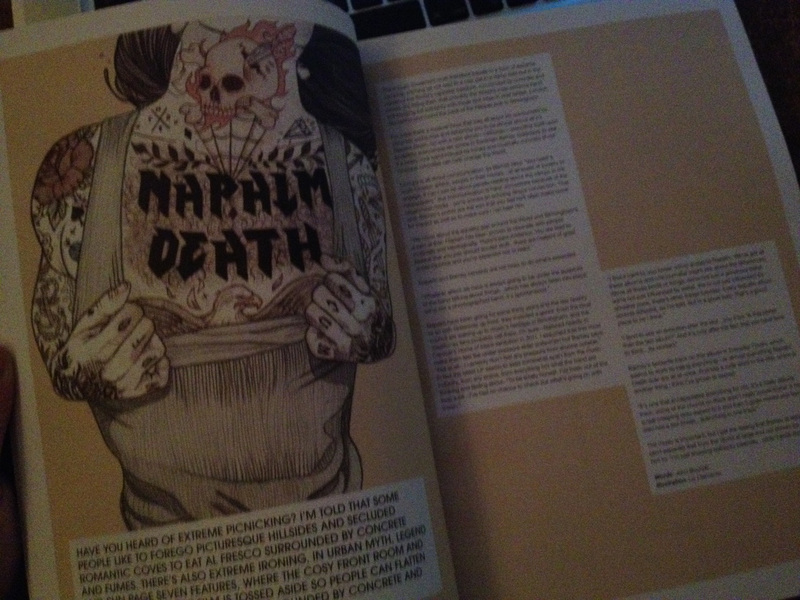 You can read it online too, here. On Friday I got round to doing something I’d been thinking of for a long while. I added location detection to my conversational psychogeography tool. Like the Is Brum Happy? system it takes the latest tweets around a location and rates emotionally sensitive words against a database to give scores for the happiness or emotional wellbeing of the place. If you’re using a HTML 5 browser (you probably are) you can let it reveal your location to the script (it’s not saved anywhere) and it will tell you if where you are (and a mile radius around) is happy right now. When I returned to the Labour fold and joined the party a few months before the 2010 General Election it was party through fear, partly through duty, but mainly because I thought there was a real opportunity that it could be reclaimed from the New Labour years and start representing the people again. People I trusted trusted Gordon Brown, and the alternatives were too awful to contemplate. That said the tipping point of joining rather than just voting was because I didn’t want to vote Labour: I had no confidence or trust in the sitting MP that a boundary change had forced upon me. By accounts he was a lifer, remote from his constituents and out of touch. Had the coming election nationally been anything but close I’d have marked my cross next to the semi-independent community focused candidate that looked like she might win. I wanted to vote for her, but didn’t want to be responsible for a situation where we got a tory government by one MP, and not Labour in my constituency. I figured that my membership might offset my ballot-box slip somehow, save my coincidence. As it turned out it wasn’t that close, neither locally or nationally. But, being a member in opposition felt like the right thing to do. I delivered leaflets, did a little phone canvassing and a little door knocking and was rightly pleased when in the next council elections our man overturned a Liberal majority with a significant one of his own. It might have been national tides that turned the ship but there was a real feeling that the local party was working hard on the ground and really cared. At this point I was as taken with the democratic system as I think I’ve ever been—despite a really disappointing result in the Alternative Vote referendum, an opportunity as I saw it for more representative politics. I’m fond of quoting that the UK always has a more right wing press than the electorate—there are always more papers supporting the tories than Labour even when the left(er) party wins big in elections. I suspect that if you asked most people about policies in simple terms, and presented real alternatives, most people would be more left wing than any government we get too. Certainly any we’ve had since 1979. So while it felt right to be in the most likely opposition, each failure to control or challenge the dominant shock doctrine narrative by Ed Miliband and his team made it difficult to see what you were working for. Another referendum offered more hope. I’d met MP Siôn Simon a few times when he was a creative industries minister, he was trying to look at ways to help the local media through the ‘internet transition’ and I was on the fringes of the local blogging scene that was one possible prop for keeping some news going. He was engaging, engaged, and—you could tell—above all looking for the right solutions to the problems he was tasked with. So when, after the election, he talked to me about the problems of reaching people and told me that he really thought there was an opportunity for change I believed him and believed in him. That change he said, could be driven by an elected mayor for a city like Birmingham. A position that would have to be backed by a mandate, a leader that would have no choice but to campaign on a manifesto upon which they would be judged. Direct accountability to the people, direct scrutiny by an engaged media, high-profile and with an ability to be strategic. I was sold, and it looked like it was going to happen. Over the last two years I’ve been variously working on things for Siôn and the non-partisan Yes to a Mayor campaign. The amount of free time I had to volunteer on both ironically helped by the “austerity” cuts the tories disproportionally heaped on poorer areas like Birmingham and on the third sector—reducing my freelance work considerably. I’ve not worked as hard as some others, but I’d like to think I’d made a contribution. To what, maybe, is a more difficult one as ‘we’ lost last week (not by as large a margin as was being reported, but lost all the same). What’s the main disappointment for me is perhaps the insight it gave me into just how hard change is and seemingly will always be under the current system. Turkeys don’t vote for Christmas, which is understandable—but turkeys don’t talk 364 days of the year about the need for a dry-fowl-meat based religious feast. A mayor would not have cost more than the current system of a council leader and a chief executive, roles which the announced candidates promised to combine. In Leicester, the nearest comparable city the mayor took a salary smaller than Birmingham’s current council leader’s allowances. The powers of a mayor were defined, in the act of parliament that brought the referendum into being. Extra powers could be negotiated, which in theory they could be for a council leader—if one side was a ‘pig in a poke’ the other was too. The electorate cannot in practice—whatever the theory—get rid of a council leader. Forget the past, look at the situation currently in Birmingham—a clear Labour majority of councillors that is certainly not likely to change in fewer than the four years a mayor would have—whatever they do and however they perform in the eyes of anyone who cares to look. Not being challenged on these is the equivalent to the current government not being challenged every time they bring up the ‘cutting the deficit’ line. Statisticians have proved that the cuts are making the deficit worse, in real and structural terms—but time and again that’s not mentioned and the cutters are allowed to dominate the narrative. And for some reason the opposition are too scared to challenge—maybe it comes across as too negative, maybe there is something about the media that they know which means this fight is lost and it’s better for them to move the debate on. And that’s the crux of it: better for them. It’s so unusual to see anyone in politics really commit and to do something that might not have benefits for their coterie of contacts. Essentially the party system seems to draw people to compromise for power and not to compromise for good. Siôn’s decision to stand down as an MP to campaign for change in Birmingham always struck me a a courageous decision—not for him the bet hedging of certain other people who were maybe, or maybe not, in favour of real change but would quite like the power if it was available. And he bravely stuck to talking about the truth of the size of the problems: areas of the city are very deprived, with high—especially youth—unemployment, unacceptable infant mortality. Do you need more? Will rearranging the deck chairs change that? I doubt it. Was that not the line that the media wanted to focus on? 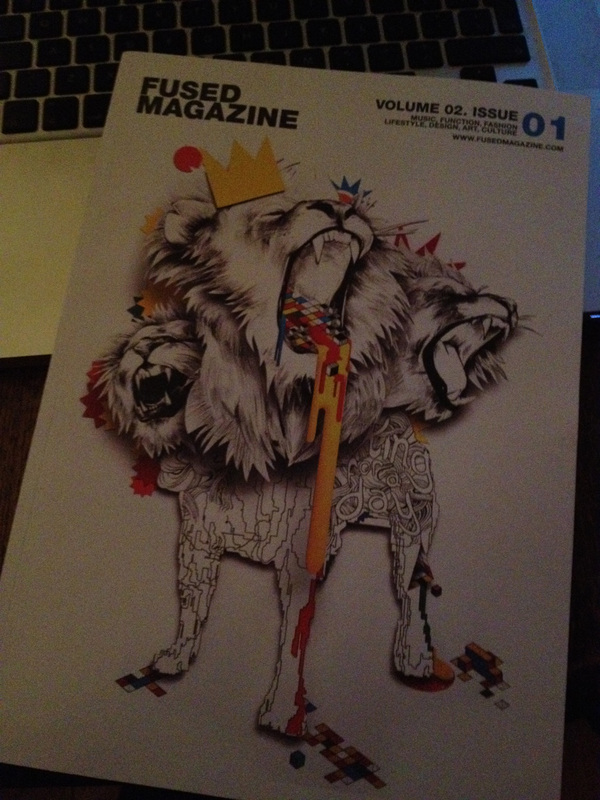 Maybe not, but in sea of platitudes and apathy it stood out for me and I was proud to have contributed in a small way. The Yes campaign bravely tried to rise above politics, and I think that may have contributed to the downfall—often seeing it sidelined in events in favour of people the media already knew about (the BBC WM debate for example had formal ‘no’ people on the panel but no ‘yes’). That presented the argument as a political struggle when maybe it should have been one about opportunity. Some honourable councillors and people involved in the political machines saw that opportunity, but I’m afraid my suspicion is that most didn’t as they were clouded by fear about their own positions and interest. There were honest people on the ‘no’ side too, but those ‘leading’ it dragged it down some dark paths. The theory of Overton windows has always stuck me as interesting—it states that there’s only a limited section of the political continuum that’s acceptable mainstream debate at any time. Anything outside it seems too radical to be considered. Decades of right-ist spin seems to have dragged the window to a point where the absurd views of the Taxpayers Alliance are given credence and unions of workers are not—even by the leaders of the workers’ party. And that’s sad. 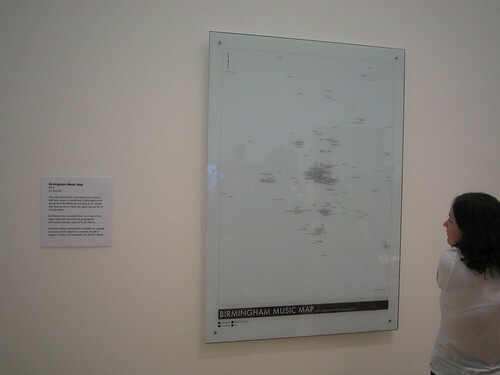 But more than sad, it’s life and death for countless people in Birmingham, the UK and the World. I’ve had a brief glimpse of the opportunity as well as a ringside seat at the way the status quo protects itself. It’s time to be honest, to be open, to be radical. It’s time to challenge obfuscation and apathy as well as disinformation and dishonesty. That can be dragging the window back to the left, or it can be just not letting nonsense past. Each time you hear someone parrot a political line, think. And if what they say is not true, respond like that. Tell people, bore them stupid. Reposition the narrative to change. Well, phoned the singer up. 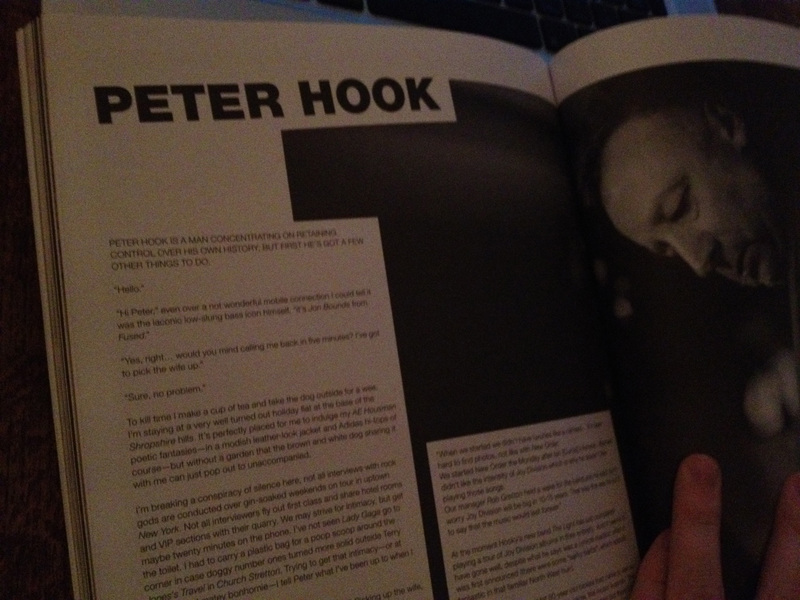 I interviewed Peter Hook (Hooky, of Joy Division, New Order, Revenge, Monaco and now The Light…) a little while ago for Fused Magazine. They’ve just put it online. On the first day of April Danny Smith and I delivered a walking tour of the ‘back end’ of Birmingham city centre as part of the Still Walking festival. Ben Waddington the genius behind the festival asked for something that played with the city’s memes and myths, so that’s what we tried to do. As a result perhaps of the date not everyone was sure how true all of it was, but I can assure you the nuclear comms bunker with a billiard room is really there.